Justin Timberlake is my generation’s best candidate to EGOT (Emmy/Grammy/Oscar/Tony). At age 32, JT has spent more than half of his life performing music on a global stage. Since 2000 he has won 6 Grammys on 29 nominations. He also has 4 Emmys for his appearances on Saturday Night Live. Call me crazy but I believe that he is one great role away from pulling down an Oscar nomination. For a triple threat singer, dancer, actor, it seems like a Tony is within grasp as well. He is one of the most acclaimed and commercially successful entertainers of the new millennium and yet The 20/20 Experience is only his 3rd album in 10 years and his first since 2006. It’s a rare and exciting event when an artist of his caliber releases an album and it often transcends the music itself becoming a larger part of the cultural zeitgeist. The 20/20 Experience is exactly that; more than merely an album, it is an experience This collection of songs, while imperfect, belongs on every car stereo and backyard summer barbecue. At a thematic level The 20/20 Experience is relatively unoriginal, featuring songs about love, heartbreak, dancing, etc. And while these aren’t new ideas, I have a hard time faulting him for it. Any respectable pop artist is a fool to deviate from this simple but proven set of topics. But pop music is balanced between content and presentation, and Justin Timberlake excels at the latter. The aesthetic of The 20/20 Experience is similar to its predecessor FutureSex/LoveSound but stretches more into retro R&B territory. Timberlake has had a longstanding and astronomically successful creative partnership with hip hop producer Timbaland. While I might have liked to hear a greater variety of production styles and influences, their partnership has been worked in the past and continues to work here. Many artists strive to drastically reinvent their style with each release, but pop music is a fickle beast. The 20/20 Experience isn’t designed to reinvent the wheel but that doesn’t mean it doesn’t have some surprises along the way. The album starts with “Pusher Love Girl” a steady and stylish track that aptly sets the scene for The 20/20 Experience. The flourish of strings that opens the album signals both a maturation of style but also a comfort within that maturity. JT has never sounded more at ease than he does on the album opener and for good reason. He spent nearly a decade working to establish himself as a grown up following the dissolution of NSYNC and for the first time it sounds like he has nothing left to prove and this relaxed swagger makes “Pusher Love Girl” one of the strongest tracks on the album. Like nearly every other song on the album, “Pusher Love Girl” has two very different halves. Throughout the album, JT breaks the song down midway through and delivers an alternative take on the same sound and though the results vary from track to track I enjoy the choice to let the songs stretch out and expand. Clearly these guys were intent on making the songs they wanted to make without thinking too heavily about getting airplay as most of the songs clock in around the 7-8 minute range. “Suit & Tie” was the lead off single and it features both Timberlake and Jay-Z waxing poetic about a life of wealth and style and the bravado is contagious to the listener. Jay-Z seems slightly out of place on the song but at the end of the day I can’t help but enjoy the collaboration. Probably the most Timablandish tack is “Tunnel Vision” which would have fit perfectly on FutureSex/LoveSounds but it seems a little darker and more developed than any of their previous work together. “That Girl” is like a historical fiction adventure, exploring what JT & Timbaland would have sounded like in the R&B soul scene of decades past. It’s the simplest and shortest track on the album and subsequently one of my favorite, relying more on a vibrant horn section, organs and backing harmonies than the schizophrenic hyper-beat production style of Timbaland. Released as a single shortly before the album dropped, “Mirrors” is a bloated and conventional pop track upon first listen. I liked it but wasn’t drawn to it when I heard it initially. However, after more listens than I would care to admit, I’ve come to realize that “Mirrors” is the triumphant centerpiece and emotional anchor to The 20/20 Experience. For years we have heard JT sing about seduction and heartbreak but “Mirrors” sounds like a turning of the page. Having just married Jessica Biel last fall, “Mirrors” is a deeply personal and powerful anthem for love. The first half soars with guitar riffs and hooks like only a true master of pop music could deliver and then breaks down into an intimate affirmation of love in the second half with the phrase “You are, you are the love of my life” repeated almost continuously through the duration of the track. Honest, humble, and devoted Justin Timberlake uses “Mirrors” as a reminder that pop music isn’t just for falling in and out of love, it’s about finding and keeping love as well. The 20/20 Experience may not be the brilliant, adventurous, career defining album that I had hoped it would be but it is still an expertly crafted pop album with more depth and creativity than just about anything else in the genre. Justin Timberlake’s career has been rewarding to watch every step of the way and if the rumors are true, we may not have to way another 7 years before we get new material. 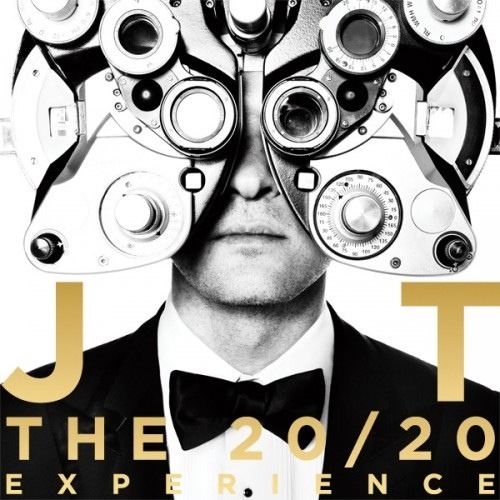 JT has loosely confirmed rumors that a second part of The 20/20 Experience will be released sometime this fall. Whatever he does next, I can’t wait to hear it.